Iniquity changed the subtype of T220601: DateInputWidget reflow after infusion from "Task" to "Bug Report". Iniquity reopened T107069: Convert HistoryAction.php to use OOUI and MW's new DateInputWidget as "Open". I sincerely apologize, but it's terrible. Why do you use so different lengths of fields for dates and labels? Why do you occupy all the space with a huge block, which is 3 times more than before, with a huge amount of empty space? Why do you make the "show" button the main one, when the main button is "compare versions"? Iniquity reopened T107069: Convert HistoryAction.php to use OOUI and MW's new DateInputWidget, a subtask of T100161: Convert all of MediaWiki core to OOUI PHP (tracking), as Open. Iniquity added a comment to T214208: mw-datatable/TablePager tables need to be visually updated and aligned to wikitable. Iniquity placed T198382: Redo Babel tower to div block instead of table up for grabs. • Jdlrobson awarded T194453: Spaces instead of css margin/padding in new Related changes a Like token. Iniquity added a subtask for T205581: History, Special:Contributions, Special:RecentChanges, Special:Watchlist should be fully skinnable - use pseudo elements for separating elements: T194453: Spaces instead of css margin/padding in new Related changes. Iniquity added a parent task for T194453: Spaces instead of css margin/padding in new Related changes: T205581: History, Special:Contributions, Special:RecentChanges, Special:Watchlist should be fully skinnable - use pseudo elements for separating elements. Iniquity updated the task description for T219355: Unable to reply a message. Iniquity created T219355: Unable to reply a message. Maybe we can use a different color for <th>? For example: #eaf3ff. You can see some information here T167186. Iniquity renamed T217116: Show block scrolling indicator for reference popup from Show scroll for reference popup to Show block scrolling indicator for reference popup. Iniquity reopened T217116: Show block scrolling indicator for reference popup as "Open". I apologize, I most likely incorrectly told about the problem. It is impossible to guess whether the block is scrollable or not, in the constant chaos of the sources. It seems to me that it is necessary to use standard practices of displaying additional text. Iniquity changed the subtype of T214676: Auto-sorting for topics from "Task" to "Feature Request". Iniquity changed the subtype of T214792: Ability to change the colour of highlighed messages from "Task" to "Feature Request". Iniquity changed the subtype of T216426: Ability to show editinro when you create a new thread from "Task" to "Feature Request". Iniquity changed the subtype of T216432: Ability to insert preload template from "Task" to "Feature Request". Iniquity added a comment to Blog Post: Projects, Forms and Subtypes oh my!. Wow! That's cool, I think we need to tell about this update in the TechNews. Iniquity changed the subtype of T216760: Unable to reply to a message from "Task" to "Bug Report". Iniquity added a project to T205581: History, Special:Contributions, Special:RecentChanges, Special:Watchlist should be fully skinnable - use pseudo elements for separating elements: Notice. Iniquity added a project to T27962: Add support for URLs to mw.loader.using: Notice. 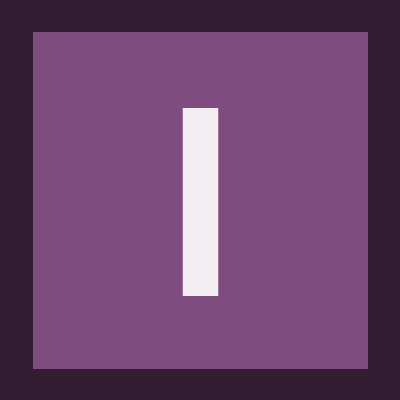 Iniquity added a comment to T217148: Use OOui icons for iOS application. @Iniquity yes! We do need to do some clean-up and consistency. Hi, @cmadeo :) Thanks for your answer. Iniquity created T217148: Use OOui icons for iOS application. Iniquity removed a project from T217117: Design of source and external links blocks: MinervaNeue. Iniquity updated the task description for T217116: Show block scrolling indicator for reference popup. Iniquity updated the task description for T217117: Design of source and external links blocks. Iniquity created T217117: Design of source and external links blocks. Iniquity created T217116: Show block scrolling indicator for reference popup. Iniquity created T216760: Unable to reply to a message. Iniquity added a comment to T214737: Localization update. Translations are updated when we publish a new version. That should happen in the next week. Iniquity created T216432: Ability to insert preload template. Iniquity created T216426: Ability to show editinro when you create a new thread. Iniquity added a comment to T177596: Addition "skipcat" or "supresscat" and "nocat" param for Babel-box. We have updated our statement of intent and maintenance levels. Main change was about reducing our scope which included degrading support for Babel. We also agreed to try out some internal process changes with regards to reviews. I understand that this might not be what you expected from this update. Since this discussion is not directly related to this task, please post possible comments or questions about this update on the talk page or other relevant channels rather than on this task. Iniquity closed T214836: Renaming the topics as Declined. I know this thing, I thought to allow renaming by default :) but I still have to think about it, the idea does not seem to me to be so sensible now. Iniquity added a comment to T214836: Renaming the topics. Oh, my fail, I didnt know that this thing can renaming topics. Hm, can we allow renaming other people's topics then? Iniquity created T214836: Renaming the topics. Iniquity updated the image for Convenient-Discussions from F28062710: profile to F28062737: profile. Iniquity edited Description on Convenient-Discussions. Iniquity set the image for Convenient-Discussions to F28062710: profile. Iniquity renamed T214792: Ability to change the colour of highlighed messages from Change the colour of highlighed messages to Ability to change the colour of highlighed messages. Iniquity created T214792: Ability to change the colour of highlighed messages. Iniquity created T214737: Localization update. Iniquity created T214719: 'undefined' date for bots after move the thread. Iniquity updated the task description for T214683: Non-breaking space for insert buttons. Iniquity created T214683: Non-breaking space for insert buttons. Iniquity created T214677: Scrolling and zoom must not select messages. Iniquity created T214676: Auto-sorting for topics. Iniquity added a comment to T214291: Convenient Discussions project. Iniquity added a comment to T214199: Bot for update localized files on Commons. Iniquity added a comment to T179040: Adding 'margin-bottom' for widgets which are part of OOUI HorizontalLayout. @Volker_E hello :) can you check it please? @Aklapper we need you :) Is it necessary to create gerrit repo or git repo is enough? Iniquity changed the status of T214291: Convenient Discussions project from Stalled to Open. Iniquity updated the task description for T214291: Convenient Discussions project. An update of the statement is planned for January 2019. Iniquity updated subscribers of T214291: Convenient Discussions project. Oh, ok, I will talk to the main author about this :) However, in a short time, I think it will cease to be a local gadget. Iniquity changed the status of T214291: Convenient Discussions project from Open to Stalled. Iniquity created T214291: Convenient Discussions project. @Iniquity, I will probably request a quick grant for this bot and the many other ProveIt requests that accumulated. Again, it may take some weeks, but we'll get there. Iniquity moved T214273: ProveIt gadget (at least on .en) not working properly. from Backlog to Bug reports on the ProveIt-Gadget board. Iniquity added a comment to T214205: Remove the support of the OldToolbar. Iniquity committed rWGPId21e2ef05fc1: Remove the support of the OldToolbar (authored by Iniquity). Iniquity committed rWGPI433ca9d25edd: Remove the support of the OldToolbar (authored by Iniquity). Iniquity created T214205: Remove the support of the OldToolbar. Iniquity created T214199: Bot for update localized files on Commons. Iniquity placed T194454: Broken bottom padding/margin at the gear in the language section of the sidebar up for grabs. Iniquity closed T194454: Broken bottom padding/margin at the gear in the language section of the sidebar as Resolved. Iniquity added a comment to T200914: Allow creation of TemplateStyles in the Module namespace. Iniquity updated subscribers of T200914: Allow creation of TemplateStyles in the Module namespace. @Johan, hello! :) Can you write anything about this update in the Tech News? Iniquity moved T198820: In global user pages babel don't add user to a language category from Backlog to Categories on the MediaWiki-extensions-Babel board. Iniquity moved T211665: User categories creation should be able to use templates from Backlog to Categories on the MediaWiki-extensions-Babel board. Iniquity moved T211671: Babel-autocreate-text-main should provide additional parameter for language code. from Backlog to Categories on the MediaWiki-extensions-Babel board. Iniquity added a comment to T21322: Special:Log needs a way to show only activity from humans (Hide bots). It is sad, these logs are really unreadable. If it is difficult to change the scheme, then I think it is quite possible to create a DB (something like MediaWiki:Admin-bots) with users which we can to hide. Iniquity updated the task description for T21322: Special:Log needs a way to show only activity from humans (Hide bots). Iniquity added a comment to T13181: Mark bot edits in histories. @Xaosflux Hmm, maybe we need to update the description of this task or update the name? It's not very clear what it is talking about. Do I understand correctly that the task is resolved? Iniquity added a project to T21322: Special:Log needs a way to show only activity from humans (Hide bots): MediaWiki-User-management. Wow, this is old problem. Any news? Iniquity added a project to T207191: Hide bots in 'Block log': MediaWiki-User-management. Iniquity closed T194452: Localize the app's name in the Apple Store as Resolved. Iniquity closed T194452: Localize the app's name in the Apple Store, a subtask of T194688: As a PM I want to provide localized store information for automatic upload with builds, as Resolved. Iniquity added a comment to T212622: Install Quiz on Russian Wikibooks. Iniquity created T212622: Install Quiz on Russian Wikibooks. Iniquity added a comment to T197140: Align the image on the Design Landing Page. @Volker_E hm, so, Is it necessary to move this image too? Iniquity added a project to T194452: Localize the app's name in the Apple Store: Verified. Iniquity added a comment to T194452: Localize the app's name in the Apple Store. @Mhurd @JMinor Hello, do you have any idea how to fix it? 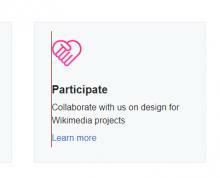 Iniquity reopened T210357: Something strange with WikimediaUI-components_overview.svg as "Open". Iniquity added a comment to T210171: Delete 'Импортировано' namespace from ru.wikisource. Hi @Iniquity. Before deployment of this change, namespace have to be empty. Yes, I saw it after my previous comment. So,I scheduled this for SWAT deployment tomorrow between 12:00–13:00 UTC. Iniquity created T210357: Something strange with WikimediaUI-components_overview.svg. Iniquity created T210171: Delete 'Импортировано' namespace from ru.wikisource. Iniquity added a comment to T184941: Babel AutoCreate creating empty categories (already on page preview). The bot creates categories, as someone tries to put a template in the preview.